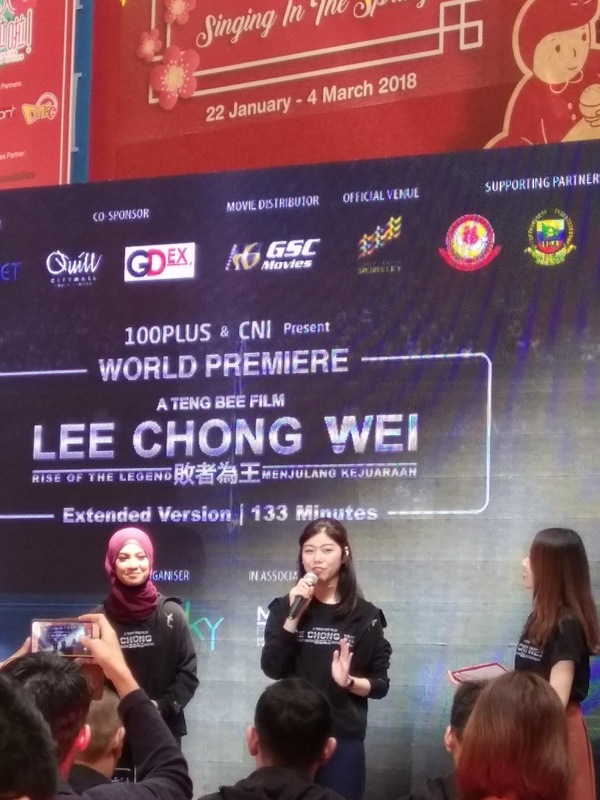 Thank you for having me to attend Press Conference of LEE CHONG WEI Movie Premiere at Quill City Mall Kuala Lumpur last Friday 9 Feb 2018. 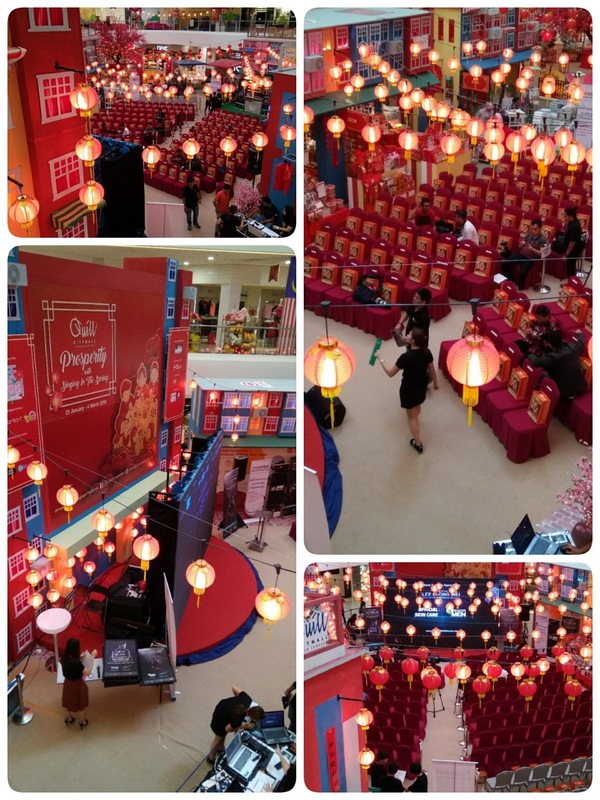 The singers of the Movie theme song will be sing by singer-actress Nabila Razali and Singer and Youtuber Priscilla Abby each of them will sing the movie soundtrack titled Cahaya Juara in Malay and Chinese version of the song. 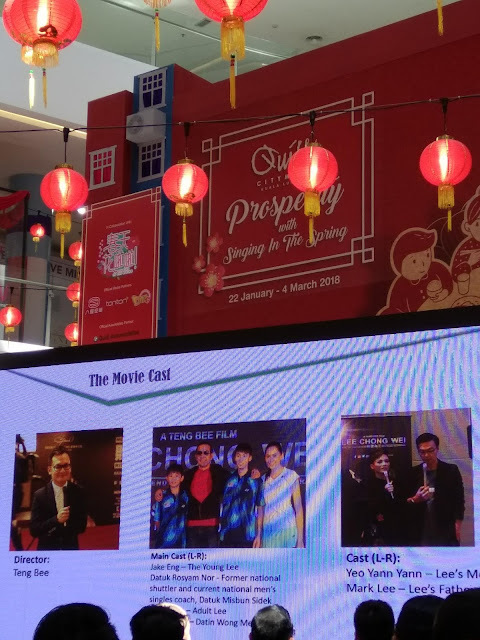 Main cast Datuk Rosyam Nor who plays Datuk Misbun Sidek (Chong Wei’s coach), Tosh Chan (adult Chong Wei), Jake Eng (young Chong Wei), Ashley Hua as Datin Wong Mew Choo (Chong Wei’s wife) and Agnes Lim (Chong Wei’s sister). 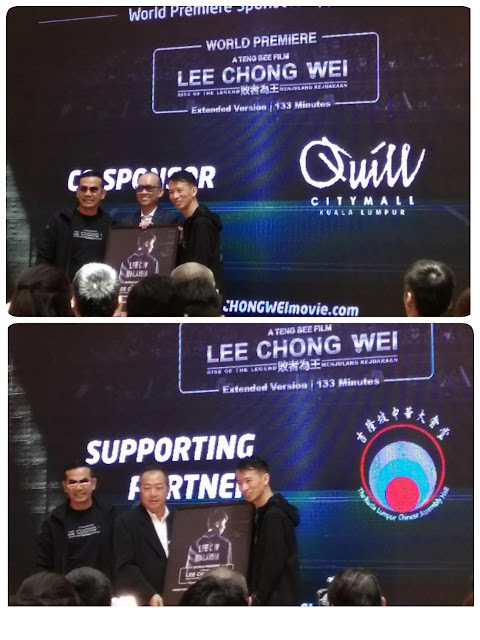 Datuk Wira Lee Chong Wei and the co-organisers also express their utmost gratitude towards the supporting sponsors, media friends and fans for the World Premiere Event on 9 March 2018. 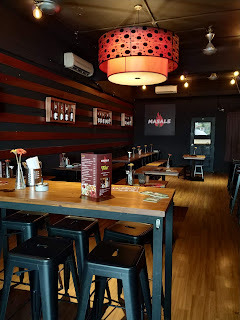 Ticketing enquiry can be made at +603-5879 9967. - (1) GSC Movie Ticket to watch the shorter version of LEE CHONG WEI Movie. - (1) Limited edition Movie Poster pre-autographed by Datuk Wira Lee Chong Wei and movie casts. - (1) sponsored movie bag. These will be distributed at the National Stadium on Event day with proof of ticket. Ticket holders will also stand chance to win lucky draw of limited edition prizes, including YONEX LEE CHONG WEI Badminton racquet (100 units), SAMSUNG Smartphone (5 units), Film Book (30 units) and other special prizes to be won. 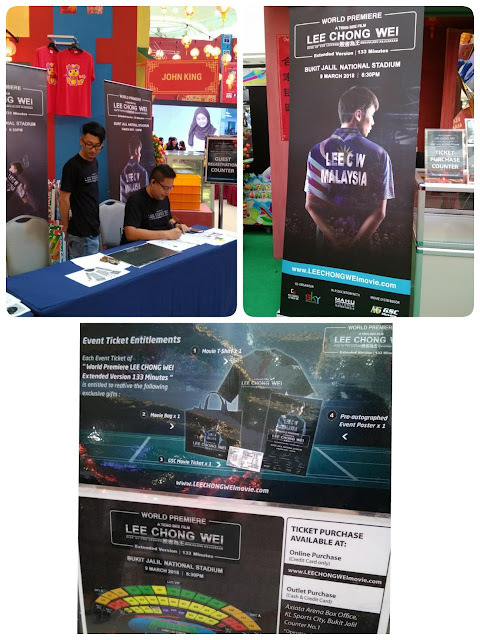 See you on March 9 at the National Stadium in Bukit Jalil for The world premiere of the movie. He's such a legend... So long no go quill city mall d..
Wah so syiok nia go for this event , yeah his is so legend. Whole Malaysian should grab this and support our sport industry. Lee Chong Wei and whole badminton fan should watch this movie. He is such a legend to all of us. Proud of him. 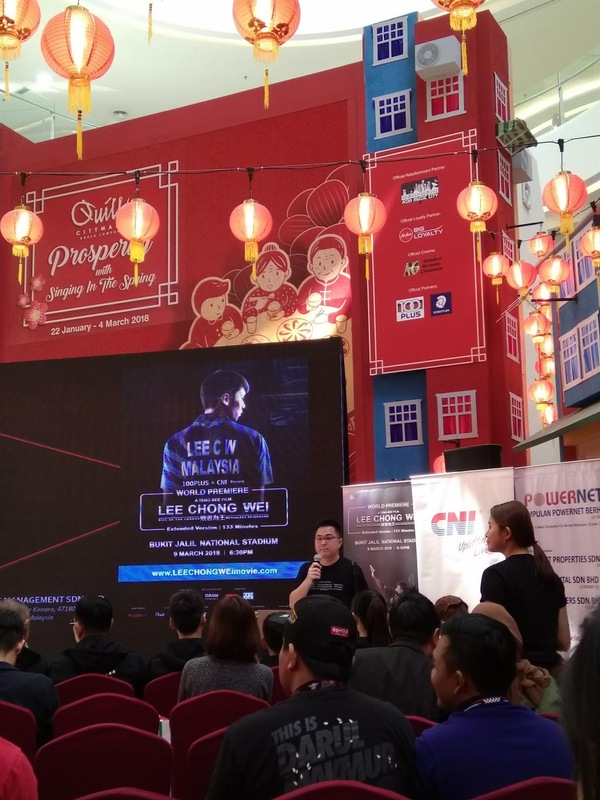 Looks interesting, the actor face with LCW is look alike..really same..
Can't wait to watch this inspiring film! 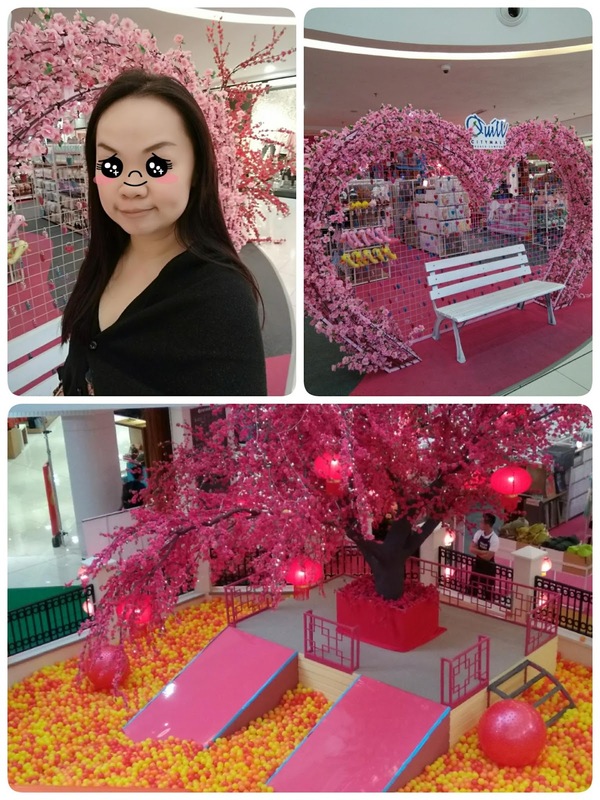 Hope it is as best (or even better) as Ola Bola! Btw the actor really look like lee Chong Wei lah! 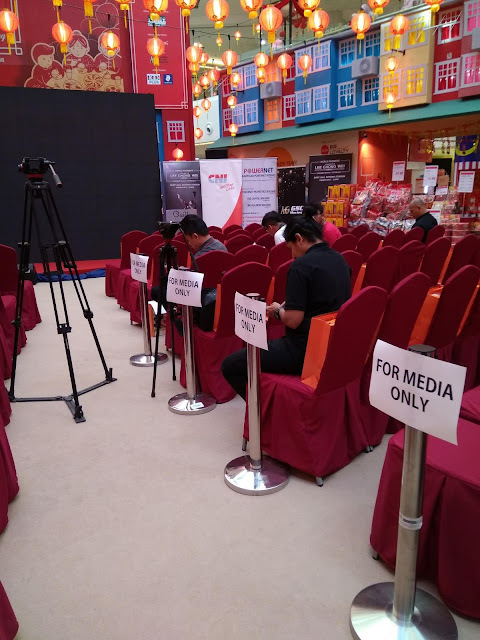 The press conference is so packed. 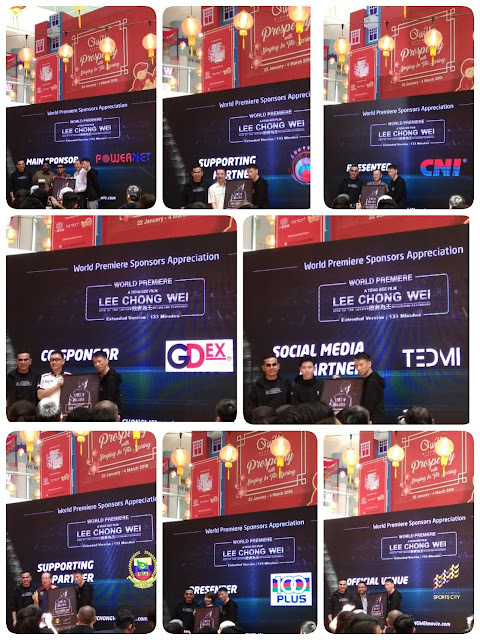 I wish Dato Lee would be there too. I hope he gonna make it to the premier. 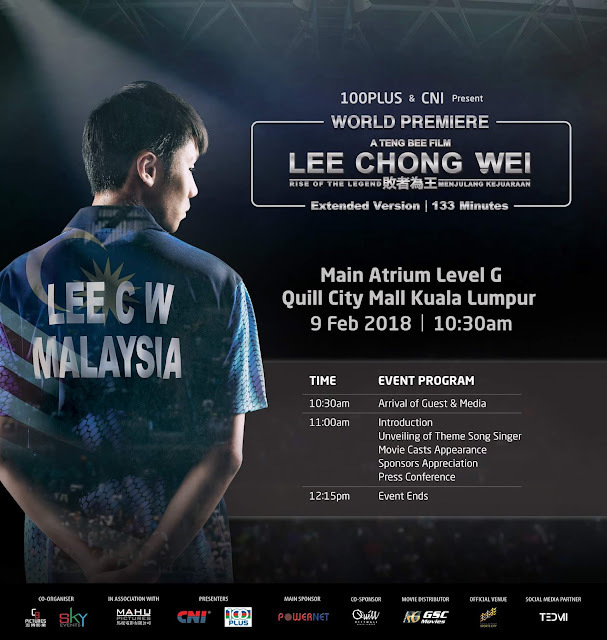 seronok bila ada kisah sendiri difilemkan ketika kita masih ada, terasa seperti jasa datuk LCW dihargai dengan adanya filem ini.. tahniah datul LCW kerana telah mengahrumkan nama Malaysia..
Bestnyer..im fan of LCW and also the cute Nabila Razali! must watch la this movie..
A great event and my kids like Dato LCW. Wish to watch this movie. How great if would be to be able to attend the premiere but my schedule is too packed to get away. 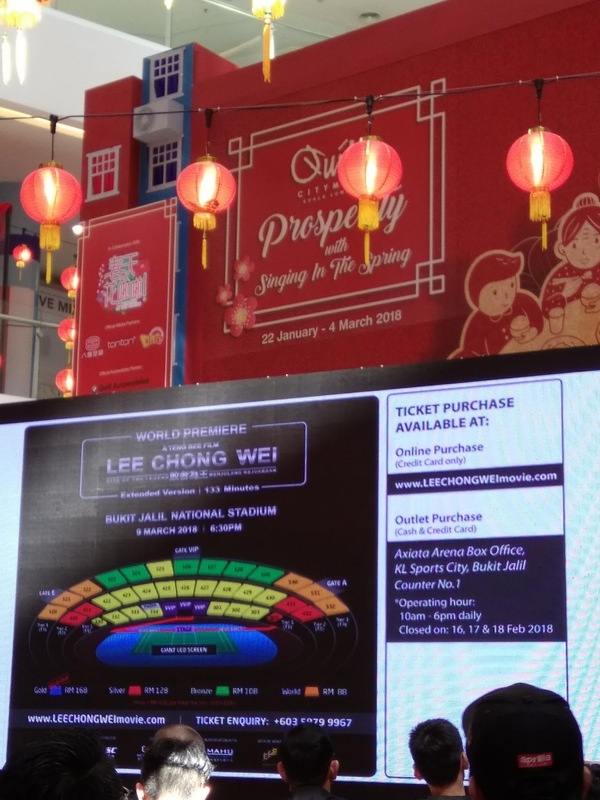 Am not a huge fan of Lee Chong Wei but love to read or watch about people's lives. This would be just right up my alley. Wow! he is my idol and malaysia's hero. Termiss this event because I was not in KL that day.